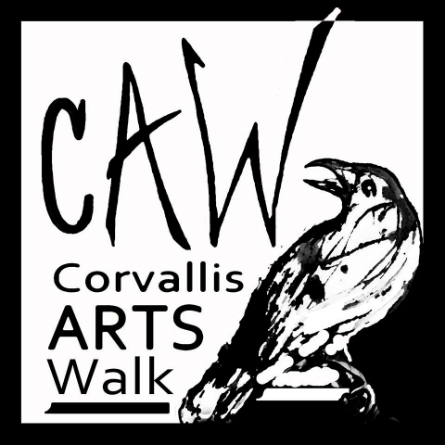 Corvallis is a lucky town. 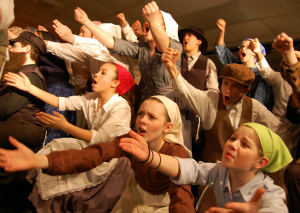 Theater is not nearly as prevalent as it once was on the national scale, but within our little hamlet lies a bevy of theatrical talent with many theaters within which to display their talents. As the theatrical season winds down, with all the drama heads retiring into hibernation for the summer, The Advocate takes a look at what is on display to make audiences laugh, cry, or scratch their heads in the coming months. We will start right here in town with Oregon State’s drama department and the Majestic Theatre, before taking Route 20 down to hit up the Albany Civic Theater for their dramatic wares. Starting our journey through theater, we first turn our eyes to the students at Oregon State University. Oregon State’s drama department is finishing up their latest season, titled “War and Remembrance,” which opened with the likes of Mother Courage and Her Children, The Diary of Anne Frank, and most recently featured Strange Snow. Next up on the slate for the collegiate actors is Dolly West’s Kitchen by Frank McGuinness. Running through back-to-back weekends starting May 7 at 7:30 p.m. at Withycombe Hall’s Main Stage, McGuinness’ very dark and very Irish play focuses on the mental stressors of war. Dolly West’s Kitchen is set in 1943’s Ireland, with the Second World War pushing an Irish family to their limits. After Dolly West comes home, issues of sexuality, nationalism, and loyalty drive the West family apart, with the eponymous kitchen serving as the physical space within which they travel these terribly complex social issues. To finish their season, OSU’s Theatre re-opens the Withycombe Hall Lab stage to the annual Spring One-Act Festival. This four-day event, starting on June 3 at 7:30 p.m., allows the drama department to present plays that are student-directed, student-written, or both. Over the course of four days, audiences are given a look at raw young talent performing pieces that will either be remembered as the beginnings of a bright young director’s career or as a footnote in a college student’s junior year, immortalized on a Facebook feed right above “Weed was legalized today, Funyuns here I come.” Either way, the potential blend of talent and train wreck is well worth the price of admission. 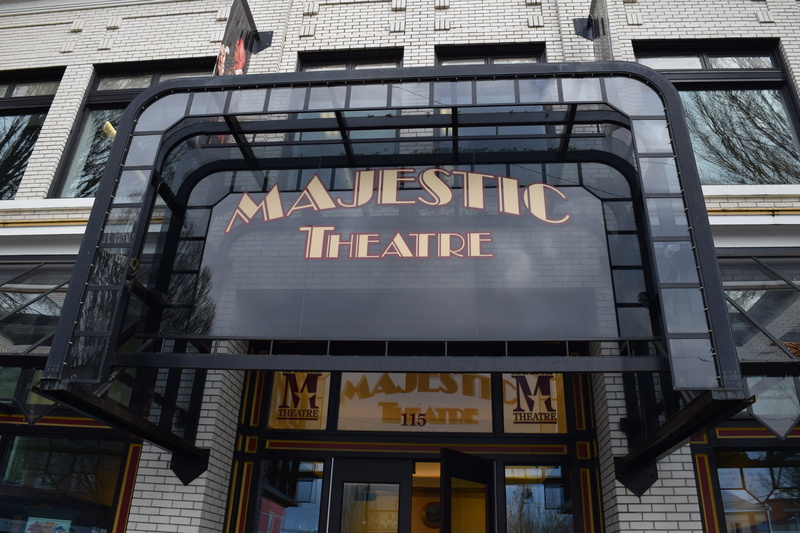 Next on our theatrical tour is the downtown darling under new management, Majestic Theatre. The Majestic has a ton of smaller events lined up, but only two major plays. One of said major plays is the musical Les Miserables. Running most days from May 8 through May 24, the Majestic helps prove that Victor Hugo’s timeless novel cannot seem to die. After a resurgence in popularity, thanks to the 2012 Tom Hooper-directed flick, more and more local theaters seem to fall back on this popular theatrical staple. Les Miserables tells the story of Jean Valjean, a Frenchman on the run from the law who tries to atone for his life’s sins during the French Revolution by singing a lot and causing grown men to cry in their theater seats. Or something like that. It is good. Go see it. Second up for the Majestic is Kiss Me Like You Mean It, a more modern piece exploring the lasting effects of romance in unorthodox situations. This comedy represents a more modern look into relationships and romance on the whole. So tread lightly, things might get a little too real for lovelorn audience members. Written by Chris Chibnall, the creator of BBC show Torchwood, this play runs on two consecutive weekends starting July 17. Beyond the grand musical of revolution and the comedic exploration of relationships, the Majestic has a lot to offer. 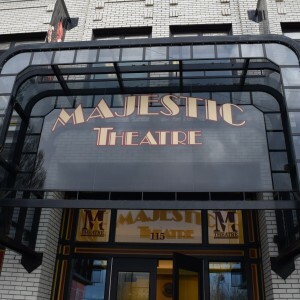 On the last Sunday of every month, the Majestic puts on what they call Majestic Reader’s Theatre, offering a stripped-down alternative to the bigger production plays, where community directors and a small cast perform in a more intimate setting, the Majestic Lab. 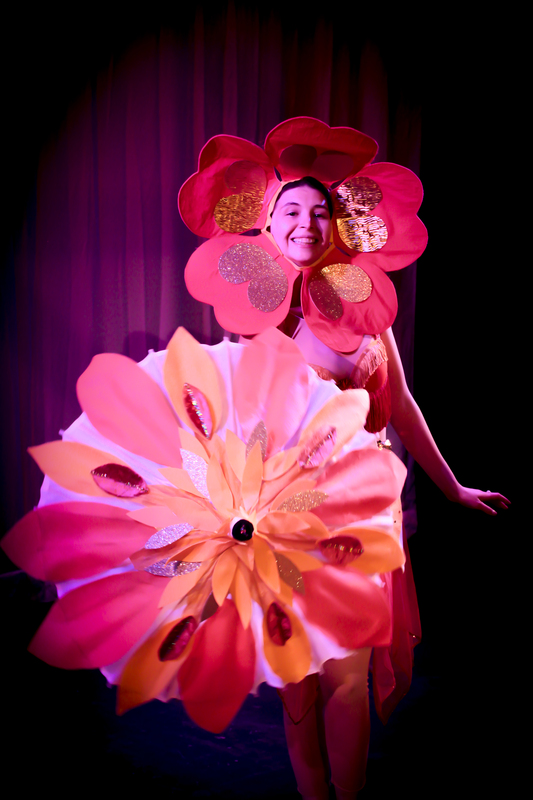 Along with that, the Majestic is looking to host a number of other events from burlesque shows to bluesy barbeques. Alas, our journey nears its end as we skip town and head over to Albany for one last tear-soaked taste of theater on the stage of the Albany Civic Theater (ACT). ACT has a fairly diverse schedule of plays ahead of them, entering the musical realm with the fever dream of a tale The Wizard of Oz. Running every weekend from May 1 to May 23, The Wizard of Oz follows the epic tale of the young Dorothy traveling through the land of Oz. Discovering the virtues of courage, intelligence, and caring, Dorothy discovers that “there is no place like home.” You know. Classic sappy stuff. Note: Pink Floyd will not be provided. After the sunshine and innocence of The Wizard of Oz, ACT is looking to put on Independence, a play of true domestic chaos. For two consecutive weekends starting on June 12, audiences will discover the story of Evelyn Briggs. Evelyn has to deal with the chaos of her lesbian daughter’s desire to cut ties with the family, her other pure and virginal daughter’s sudden pregnancy, and her youngest daughter’s desire to leave home after high school. Needless to say, drama ensues. In an effort to bounce back from the mental dramatics of the month prior, ACT continues its train with the meta Footlight Frenzy. Starting July 10 and running through three weekends up to July 25, Footlight Frenzy focuses on a PTA group’s attempt to save their bankrupt school through a big benefit play written by a former Broadway director. Jumping between the chaos on stage and behind the scenes, audiences get a slapstick look into the chaos of theater. And to finish our tour and ACT’s schedule, Albany travels to Neverland with J.M. Barrie’s Peter Pan. Right at the start of summer, Peter Pan runs three weekends starting Aug. 14 and wrapping up on Aug. 29. A flying young man in a green leotard, Peter Pan accosts three young children and kidnaps them. Peter brings the children to a land of pirates and tick-tocking crocodiles. It is frightening and not at all for children. 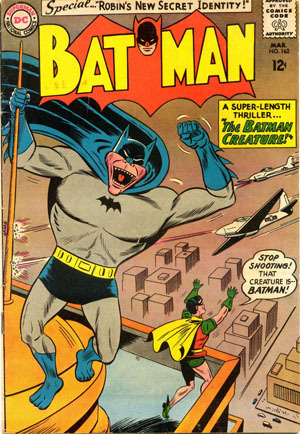 Side note: it is a brilliant piece of fiction that entertains children around the world. Ignore me. Clearly, Corvallis has you covered when it comes to classical theater goods. 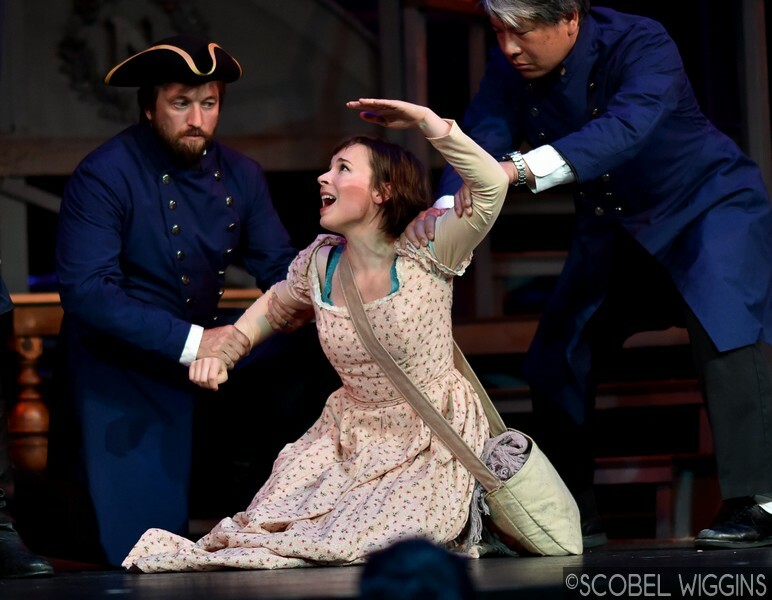 From ambitious plays like Footlight Frenzy to classics like Les Miserables, Corvallis proves to be a worthy hub of interesting theatrical content. Go watch more plays.